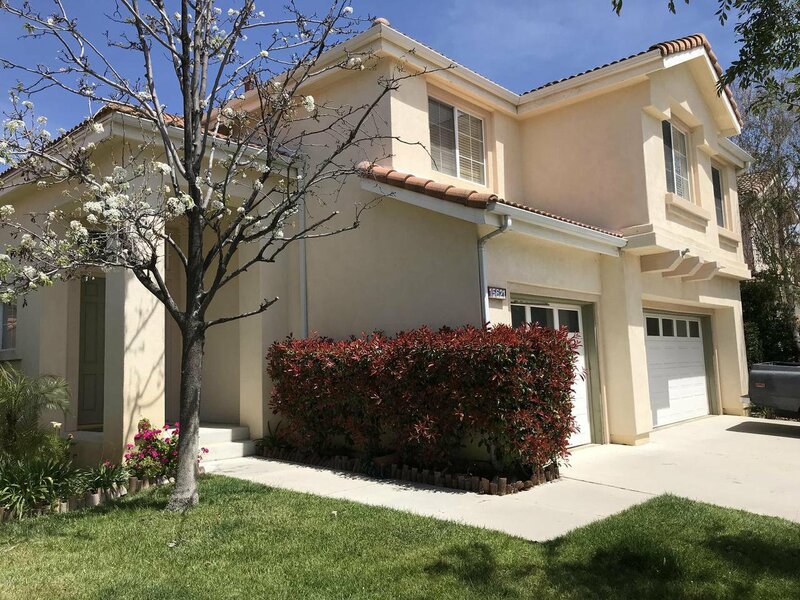 Don't miss this opportunity to live in one of the largest homes at the very top of Campus Hills, the highly desirable Moorpark neighborhood! Enjoy living with one downstairs and four upstairs bedrooms, soaring vaulted ceilings, beautiful natural-stone and laminate flooring, a spacious kitchen, an open living room, and relax in the large backyard while listening to Ira, Moorpark's very own lion, periodically roar from his home at our zoo! Enjoy the area with long comfortable strolls through the beautiful and quiet neighborhood, conveniently close to Moorpark College, Campus Canyon College Preparatory Academy (K-8), two community pools, four local parks (including a great dog park,) and Happy Camp Canyon's 3,000-acres of beautiful hiking and riding trails. This home will go fast, make sure it's yours!